Vipin Dhanurdharan’s work Sahodarar is being named one of the must-see projects at the ongoing Kochi-Muziris Biennale. 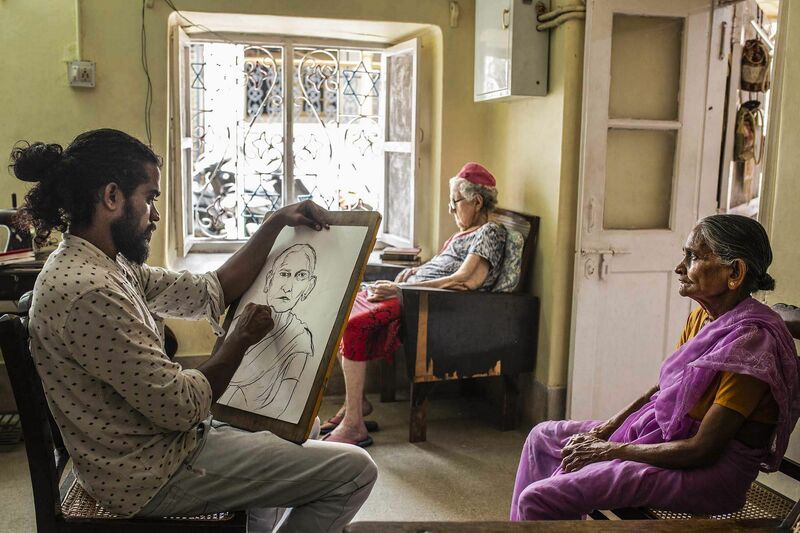 For his project, which draws its name from late social reformer-rationalist Sahodaran Ayyappan, the Kochi-based artist presents a series of sketched portraits of the city’s people, his neighbours, and people he met and interacted with. Ayyappan was well-known for his initiative of organising misrabhojanam (community dining) events, at a time when members of the upper-caste would not be seen sharing food with those from a lower-caste community. These meals became a defining point of his career, and a crucial episode in the cultural history of the region. Vipin attempts to replicate the same, and also established a free kitchen on the grounds of Aspinwall House for viewers who want to drop by and enjoy a simple, traditional meal. Vipin, 30 years old, lives and works in Kochi, and has been an artist since 2012. In a note accompanying his 2017 video work, Petrichor, Vipin describes his love for his hometown. 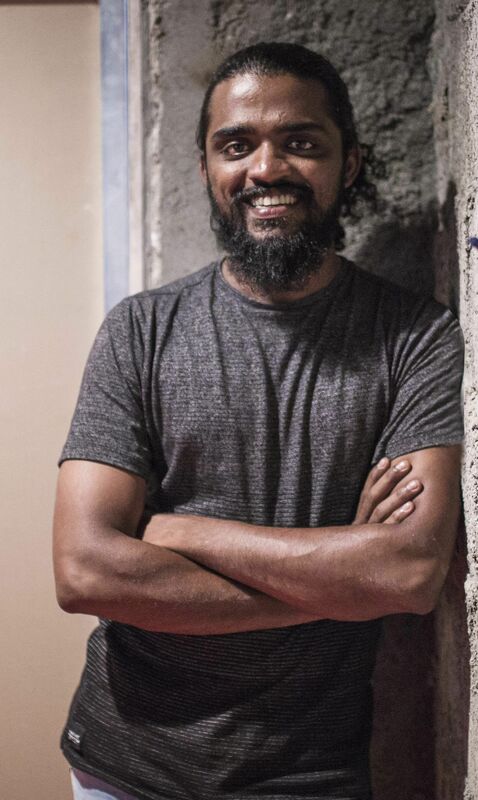 A self-taught artist, Vipin now works with different mediums including drawing, video, installation and performance, and while he has been an active volunteer with the Kochi Biennale Foundation since the first edition of the Biennale, he is also a founding member of the artistic collective, Kalakakshi. We got to sit down with the artist for a chat, to get a few of his ideas about the festival. The Kochi-Muziris Biennale is unique at many levels. It is the one Biennale that is widely known as the ‘People’s Biennale’, as you can see the common people and art enthusiasts equally visit the festival. The Biennale includes a number of initiatives such as art education in schools, encouraging art practice in colleges, offering residencies, and so on. From the first edition till now, one can clearly see the progress the Biennale has made. Tell us a little about the subjects of discussion that you are looking forward to engaging with, at the festival. My work at the Biennale titled, Sahodarar, is inspired by an act by the renowned social reformer in Kerala, Sahodaran Ayyappan. The event was called misrabhojanam, which took place in 1917 in Cherai, close to where the Biennale is hosted. The event was a result of Ayyappan’s vision to address and critique caste segregation in society at the time. 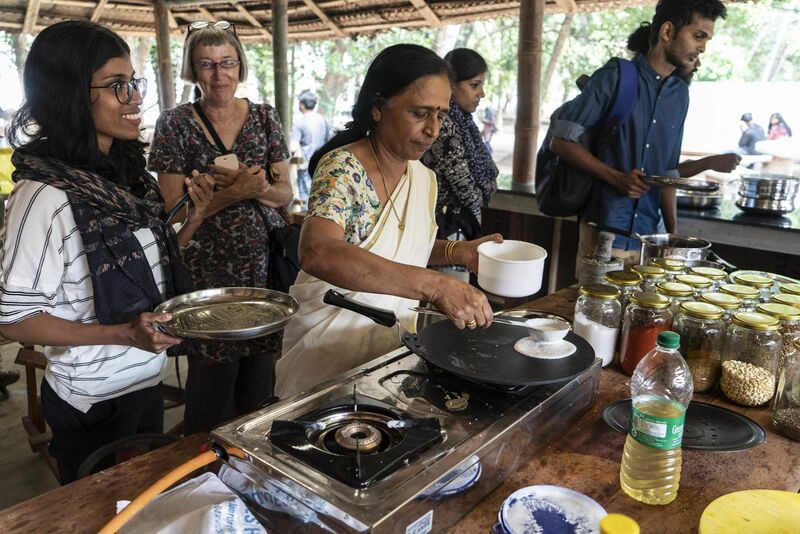 At the Biennale, in an attempt to address still existing caste-based discrimination, I’ve set up a community kitchen where visitors are welcome to cook and share food among themselves. A dining table is also available for visitors. The idea behind such a community kitchen is to evoke dialogue and conversation among visitors. Along with the open kitchen, in three adjacent rooms, portraits of people from Fort Kochi and Mattancherry who invited me to their home and offered me food are also exhibited. This accompanies a documented video of the whole process of visiting people at their residences. The work is also an experience of getting to know my neighbours and people who live in my city. 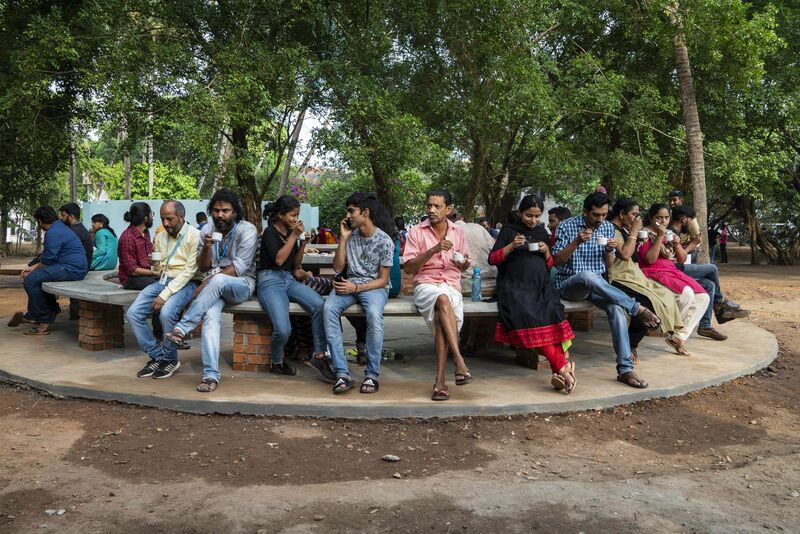 Sahodarar is a project that is aimed to make the public interact with the work, and with each other. How do you envision various streams of art coming together at the Biennale — from fine art and visual arts to public installations, performance and video, with a fair bit of music and food in the mix as well? I think, the boundaries between these categories of art are blurring, with many attempts to make new dialogues, and discover new art forms. There are new possibilities of reaching viewers through a mix of factors. When we share coffee or food with friends and family, it is a time to have conversations. So then, sharing food is a fruitful way of having a dialogue. We’re always exploring possibilities of making things more inclusive and wide open. The Biennale is making art accessible to everyone. The artworks are not exhibited in so-called elite art galleries, but at places that are accessible to everyone. Give us your personal notes about your time spent at the Biennale. What are your own expectations? My experience with the Biennale is a lot different than any other participant, because I have been involved with the Foundation since its first edition. I joined the Biennale team as a volunteer during the first edition and worked with the production team for the second and third editions. Each Biennale is unique and different because of factors like participating artists, curatorial team, and so on. I learned a lot about art, and my seven year-long experience with the festival has been more of an education than having a job. But it’s also a different experience when you exhibit your work as an artist. Do you believe it is necessary that contemporary art must be political, or activistic in nature, to make a seemingly greater impact? 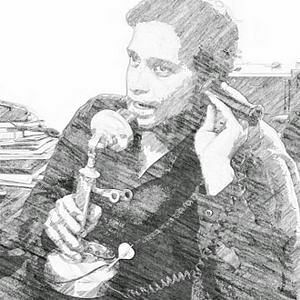 According to me, the work need not directly imply and take a political stance all the time. But as a person living in a society, we must be aware of what’s happening around us. The project Sahodarar and community kitchen are set-up at Aspinwall House.